“We are more concerned with home buyers and not the company or those holding fixed deposits,” the top court said, while fixing the hearing for Tuesday. 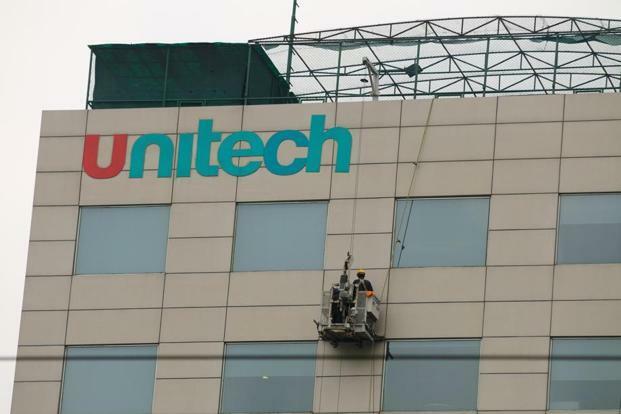 On Dec 8, NCLT suspended the Unitech board for alleged mismanagement of funds and barred its directors from selling either personal or company assets. Trouble-struck real estate developer has moved the Supreme Court against a National Company Law Tribunal order allowing the central government to replace the company’s management with 10 nominee directors. A bench headed by chief justice Dipak Misra said that the matter would be heard on Tuesday. “We are more concerned with home buyers and not the company or those holding fixed deposits,” Misra said. The NCLT directive came on a plea by the Corporate Affairs ministry seeking to take over the company management citing ‘public interest’. In its petition in the apex court, Unitech has challenged the NCLT’s order allowing the Centre to take over the company. At the previous hearing, NCLT suspended the Unitech board for alleged mismanagement of funds and barred its directors from selling either personal or company assets, while allowing the Centre to name 10 nominee directors and paving the way for a government takeover of the floundering property developer. The NCLT has clarified that its interim order will be subject to compliance with Supreme Court directives. The next hearing is scheduled on December 20. While considering the Centre’s plea, the principal bench of NCLT had said that there is a prima facie case of mismanagement and restrained company directors from selling, transferring and mortgaging assets. NCLT has asked the government to submit its list of fresh nominee directors by December 20. The company has over Rs. 6,000 crore debt with more than 16,000 undelivered units from a total of nearly 70 projects affecting nearly 20,000 home buyers. Meanwhile, shares of Unitech surged as much as 20 per cent in its fourth such rally after the NCLT order. The Unitech scrip had jumped 20 per cent on December 8, the day the order was issued, as well.